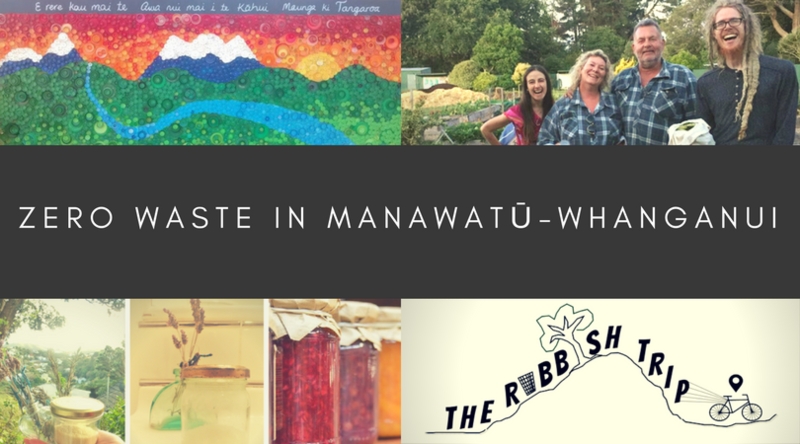 The Rubbish Trip kicked off our nationwide tour in Manawatū. After spending two weeks in Palmerston North and Feilding, running presentations, a workshop and recording some podcasts, we were thoroughly blown away by the array of zero waste options in Manawatū, and the general enthusiasm for, and awareness about, waste reduction that we found there. We couldn’t have asked for a better place to start our year and we left feeling very uplifted and energised (and special thanks to Liam’s Mum and Dad for making our stay so comfy!). Since then, we’ve done a loop around the North Island – from Cape Reinga and back – and have now updated this guide to include Whanganui shops and community groups as well. Woohoo! We do what we can to find as many shops, community groups and services as possible, but inevitably we do miss things, so please let us know, by commenting or dropping us an email, if there’s something that isn’t in this guide that should be! What about Bin Inn Wanganui. Sammy is a fantastic advocate of reuse, recycle and bring your own. Also sells locally made sourdough breads in plain paper bags. Right you are! This opened after we came through Whanganui and have been meaning to add it in for ages. Thanks, will add in right now. Do you know if the breads come unpackaged or are they pre-packed into the paper bags? Who makes them? Thanks for commenting! The breadmakers are Sour Bro’s. They sell their bread at the market too. You can put it in a paperbag or bring your own. Ethique can also be found in farmers, but less selection then the pharmacy. Pouch Products are based in Horowhenua and create a great range of reusable bags, all locally made. Any help welcome regarding buying unpackaged cheese in Whanganui, as it seems so hard to find! Thank you for this great post! As someone who is new to zero waste (and also Palmerston North! ), I’m glad to have read this. Makes my journey so much easier. Thank you. No problem! glad that the guide has proven useful! A Waste of Time? : Preaching to "the Converted"
What to Do About Single-Use or ‘Avoidable’ Plastics and Plastic Packaging?